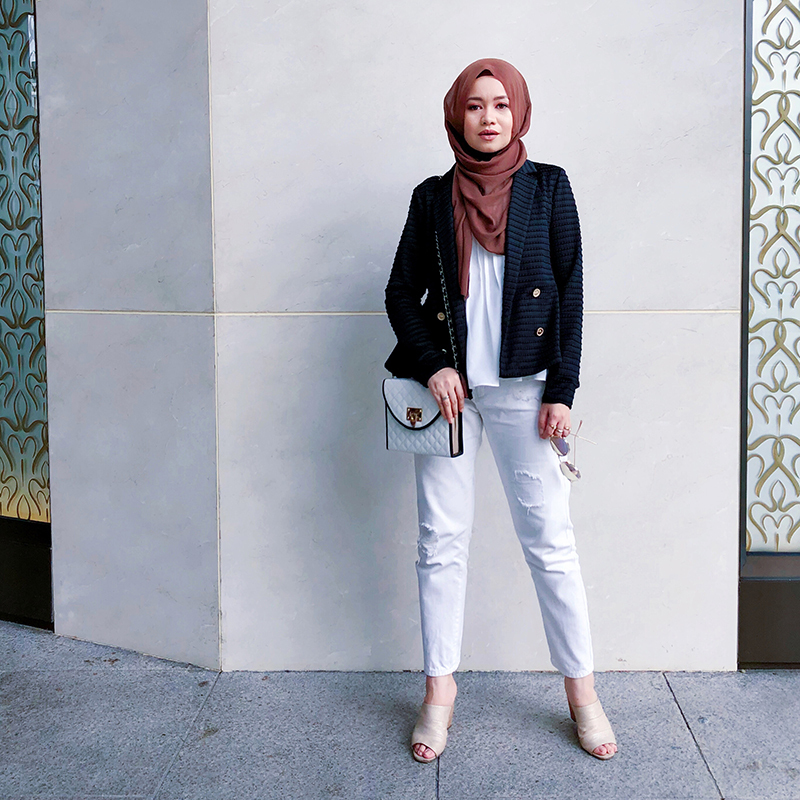 This was captured by the husband on a Sunday 19th November 2017, after I got back from Singapore Fashion Week and before I went to Dubai Modest Fashion Week. End of this week I will be travelling again to another country for aere's trade show and another fashion show, God-willing. I just developed conjunctivitis yesterday hoping it will go away soon together with my flu and coughing. Going somewhere super cold (for me) and have planned my outfits for the trip already most of my Sunday yesterday. It was actually a family outing that Sunday and right after these shots were taken I actually lost my cool when Elhan made me laugh goofily. I then took some shots with them, which I may share here. Some people and friends asked me recently how do I balance work, business and family, travelling a lot for work since I had Elhan and Evren. I was dumbfounded. I really do not have the answer yet, but I guess I am just going to take it one step at a time. A working mom has got to do what she has got to do! Maybe I can only talk about it in a few years time when I have got it all figured out. Maybe! But one of the things I already mentioned in my previous post Last Day of Jan 2018 with My VVVIPs is family support. Here in this post I am wearing my current favourite jacket aere's EALAIR Jacket from CHANGE collection. I love that it is double breasted, those aere signature buttons, the texture of the fabric, the silhouette, slightly loose at the bottom and the back. It feels chic, sophisticated yet slightly edgy. It is amazing and I am blessed that aere's design and production team has really stepped up their game even more in terms of quality and design since the beginning of 2017. So much love! Wore the EALAIR with aere's LAUREA Top, paired with FVBasics Jeans, dUCk Fluff and ShoesShoesShoes bag.